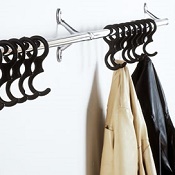 Modular coat hanger system consisting of a wall mounted cast enbloc element made from polished aluminium. Each element has 2 supports each with a hole for wall or ceiling mounting and a front cylindrical element with a hole to mount the hanger rail using M8 stud bolts or M8 terminal screws M when the bars are mounted continuously. 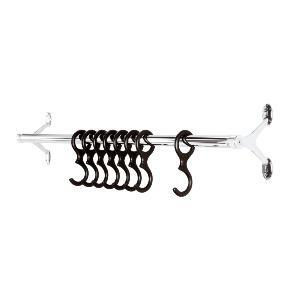 Coat rail is made from 28mm diameter chrome plated steel tube with threaded inserts at the end to fasten the screws or stud bolts. 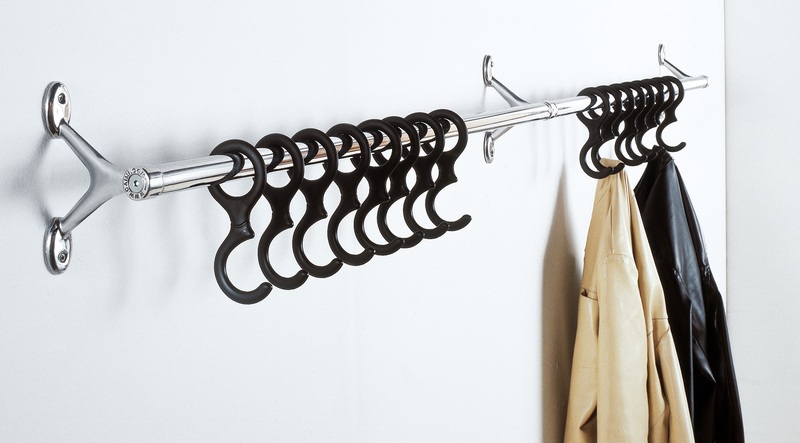 Please note coat hangers and rail extensions to be ordered separately to add on to achieve your desired run of coat rails. Please note price includes only rail of dimensions below. 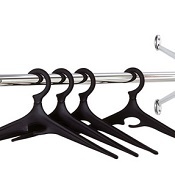 Hooks and rail extensions to be ordered separately.